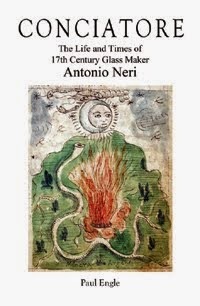 In 1612, Antonio Neri wrote the first book entirely devoted to making glass from raw materials. It was called L’Arte Vetraria, or in English, 'The Art of Glassmaking'. When Neri put pen to paper for his book, he had already been making glass for over a decade. He had the opportunity to learn his craft from some of the experts in the field. At the beginning, his first known experience in glassmaking was at the laboratory palace of Don Antonio de’ Medici, a prince from the ruling family of Tuscany. The Palace was called the Casino di San Marco. “Casino”, we might innocently guess indicated some kind of gambling hall, which it was not. 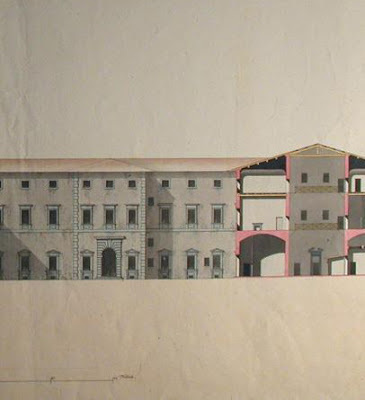 Instead, "Casino" was Italian parlance for a palace that was informally organized like a small country house with the living quarters on the ground floor. It was built by Don Antonio’s father, the former Grand Duke, as a place where Nature’s secrets would be discovered and new inventions would be made. Neri worked at the Casino for a couple of years before moving to Pisa and then to Antwerp, all the while making glass. He returned to Florence to publish his book, and thanked Don Antonio for his long patronage. Don Antonio's Casino was as much a grand concept as it was a physical space. Completed to his father’s specifications in 1574, it evolved into a prince's palace par excellence. Within its walls, grand dinners were held, productions were staged and poetry was read. In 1605 Michelangelo Buonarroti the younger staged a play there titled "The Christmas of Hercules." In its chambers, music was performed, philosophy debated and diplomacy conducted. In its laboratories, alchemy was nurtured, and glass was formulated. It was a sort of grand royal conservatory, melding together art, letters, drama, music and science. From its courtyard, hunters set forth into the Tuscan hills in search of unicorns, and within its workshops, artisans explored the territory of new materials and natural secrets. The Royal Foundry, as it was also called, became a place of pride for Grand Duke Ferdinando. It was a place that visiting dignitaries specifically asked to see and tour. Behind the doors of the Casino di San Marco, Antonio Neri and his associates worked their magic. This is probably where he first learned the secrets of Venetian style glass composition and undoubtedly much more. He assisted the prince in his research, formulated herbal remedies and helped in the production of luxury gifts for visiting dignitaries. This was the way that I made chalcedony in the year 1601, in Florence at the Casino, in the glass furnace there. At that time, the task of scheduling furnace-work fell to the outstanding Mr. Niccolò Landi, my close friend and a man of rare talent in enamel work at the oil lamp. I made many pots of chalcedony in the furnace there. I never deviated from the method stated above, I always prepared the materials well and it always came out beautifully in all my proofs. L'Arte Vetraria, Antonio Neri 1612, p. 41. * This post first appeared here in a shorter form on 12 August 2012.